Jumpin' Jacks Toys range of online store features a superb range of popular word games that will help introduce new words into the vocabularly of all young children. Designed to help your children learn to read, you'll find word games for kids available in blocks, puzzles, tiles, dice and pawns and pieces that will provide much needed development as well as fun and enterainment for your children. 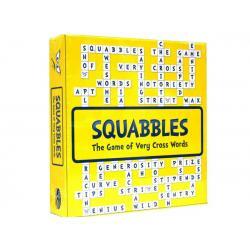 We're confident you'll find the right word game for yours or somebody else's child. Set includes 48 words, 48 pictures, 24 phonics, magnetic board and dry wipe penChunky magnetic pie..
Sumoku is a unique crossword-style game with numbers. It can be played 5 different ways. Whet.. Experience the marriage of letters and numbers with the enthralling game of WOO!Starting with four ..